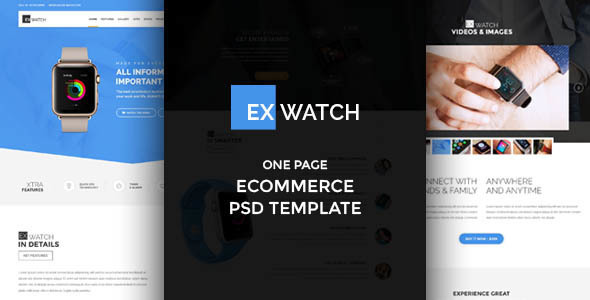 Ex Watch is a Modern & Responsive Ecommerce PSD Template suitable for a single product showcase or multiple products of same range. It has all the necessary sections/pages to sell or showcase your product(s). It is based on 1170px Bootstrape responsive grid system.